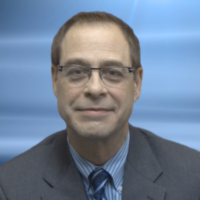 Executive Team | Consolidated Technologies, Inc. : Consolidated Technologies, Inc.
Kenneth Heitner is President & CEO of Consolidated Technologies, Inc. Prior to founding CTI in 1997, Mr. Heitner was Vice President of Sales for International Business Phone Corp.
Mr. Heitner currently serves on the advisory board for Avaya, is a founding member of the international organization “Aura Alliance” and active with Sunrise Association, whose mission is to bring back the joys of childhood to children with cancer and their siblings world-wide. Mr. Heitner is a 1988 graduate of State University of New York at New Paltz, where he earned his Bachelor of Arts degree in Political Science and Communication. Early morning Spin Class. Then home playing ping-pong or basketball with my sons. Tinkering at my desk or workshop. Often traveling – always moving. The ability to stop talking. My big dream is a little dream. Retire to a lakefront home, wake up early and go into town where I am a counter chef at a small “Greasy Spoon” breakfast place. I would chat it up with the regulars and any folks passing through. Be done by lunch and able to do whatever else life has in store for me. 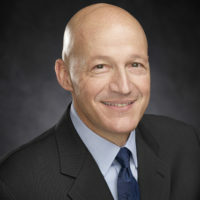 David Blau is the Chief Strategy Officer and founding Partner of Consolidated Technologies, Inc. (CTI), a converged communications solutions provider specializing in Avaya solutions. 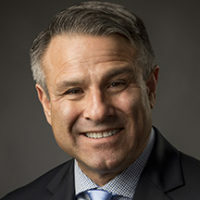 CTI is a past recipient of Avaya’s Business Partner of the year award, and has been named as one of Inc. magazines fastest growing small businesses in the U.S.
Mr. Blau is the former Chairman of Avaya’s SMB council. He is the former President of the National Association of Telecom Dealers, a 2500 member organization representing the interests of users, owners, buyers, sellers, and maintainers of telecommunications equipment worldwide. 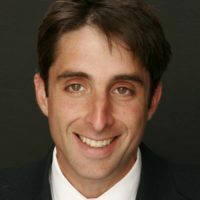 He is a founding member of the Cloud Communications Alliance, the nation’s leading organization of providers creating the first nationwide high-definition enterprise voice network in the cloud. 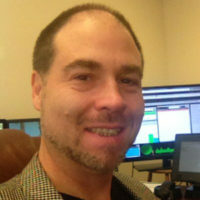 Mr. Blau is a 1986 graduate of Cornell University with a Bachelor of Arts in Business and Political Science. What is something that your clients or co-workers would be surprised to learn about you? I am a World Champion Ultimate Frisbee player. 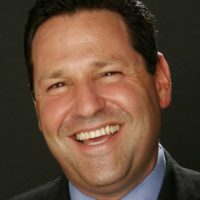 Robert Shabin is a founding Partner of Consolidated Technologies, Inc. (CTI) a converged communications solutions provider headquartered in Westchester, NY. As an Avaya “Platinum” certified BusinessPartner, with annual revenues exceeding $20 million, CTI has been identified as a “Focused BusinessPartner” by both the Enterprise and Small to Medium Business product divisions of Avaya. Catalyst Telecom has also recognized CTI as a “Top Five Growth” partner. 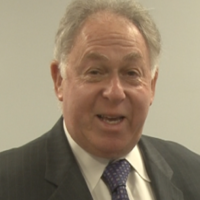 Prior to his involvement with CTI, Mr. Shabin was the founder and President of Sound Datacom, a Connecticut based telecommunications services and consulting company. Mr. Shabin has over 20 years telecom industry experience specializing in cutting edge solutions for a variety of industries. Mr. Shabin is a graduate of City College of NY with degrees in Electrical Engineering and History. 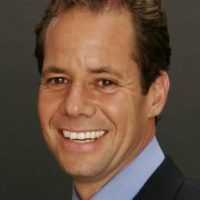 Ben Schoolsky is the Chief Customer Officer and an Equity Partner of Consolidated Technologies Inc. Mr. Schoolsky is responsible for the overall strategy and direction of the sales organization. Prior to joining CTI in 2000, Mr. Schoolsky gained extensive experience as he developed his professional career at Avaya/Lucent. He began in New Business Development, eventually earning the position of an Application Consultant, where he led a team of 16 sales people. Mr. Schoolsky is a 1993 graduate of the State University of New York, Oneonta with a Bachelor of Science in Business Economics. Physical Fitness. I love to Crossfit, practice Yoga and run the mountain trails. I want to impart knowledge to those interested in learning mental, physical and spiritual balance. I am very interested in getting more involved with teaching youngsters healthy lifestyle choices. I want to be a part of the solution for Type 2 Diabetes in children in America. For me, its all about the personal interaction between myself, co-workers, customers and prospects. It’s the human connections that make the most impact on me. I would want to fly. I think it may be the most common answer but I don’t enjoy sitting in traffic. 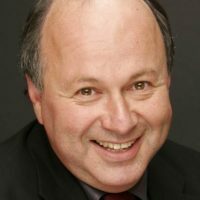 Richard has over thirty-five years’ experience in communication network operations within large corporations and reseller organizations. 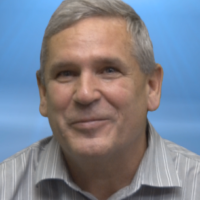 He has served as Vice President of Operations for Consolidated Technologies, Inc. since 2003. He joined the company from NextiraOne, Inc. Richard received his Bachelor of Science – Electrical Engineering from Texas A&M University. Richard enjoys spending time at his lake house in RI, relaxing and spending as much time as possible with his grandson. Andrew Conti comes to CTI with 33 years of experience in the technology, fashion and transportation industries. For the last 24 years, Andrew has served in the role of CFO / COO for several companies. He also brings a very strong financial and operations background to CTI. Andrew is a graduate of Syracuse University with a BS in Electrical Engineering and Bio-Medical Engineering. He also graduated from Northeastern University with a MBA in Finance and Accounting. During his spare time, Andrew enjoys playing golf with his 3 sons and working towards his private pilot’s license. Mr. Denton’s background spans thirty plus years in the communications and information technology industries as a technologist. Mr. Denton interacts regularly with industry leaders and analysts to understand and influence the impact technology will have on the market. Mr. Denton frequently participates in industry events, keeping a finger on the pulse of emerging technologies and ensuring that CTI remains at the forefront of the Unified Communications and Managed Services marketplace. Mr. Denton joined CTI in June of 2002 as the Director of Technical Services and runs the company’s Technical Support Organization. With his dedication to understanding emerging technologies and coordinating the alignment of all departments within CTI, Mr. Denton is essential to the company’s continued growth and development. Mr. Denton is a graduate of IONA College with advanced degrees in Computer Science and Telecommunications. Harry’s background spans 34 years in the communications and information technology industries, largely in technology sales and channel development roles. Harry’s tenure helped transition AT&T through the Lucent Technologies and Avaya spin offs and spent 6 years building out the Avaya Global Alliances with IBM, and other large systems integration firms such as HP, CSC, and others. In this capacity, Harry led technology integrations, joint go-to-market plans, and the sales efforts of the joint engagements at the field level. From there, Harry joined Nectar Services Corp, a startup software company building out the global sales channel, and again leading the sales opportunities with their global channel partner communities. Harry joined CTI in December of 2014 as the Director of Managed & Integrated services and runs the company’s managed services programs, sales, and strategy. In December 2015, Harry took over the management of CTI’s Sales Engineering, providing oversight and direction for the company’s technical sales support professionals. As a Sales Director, Reza Kazerouni has overall responsibility for leading, managing and growing one of CTI’s sales teams. Reza has over 30 years of sales and business development management experience in the technology industry. Reza’s team is responsible for working directly with CTI’s Clients across the US to advise on and facilitate solutions across CTI’s portfolio – with a particular emphasis on IT Managed Services, Solutions as a Service (SAAS), Public / Private Cloud and Voice/Data networking Technology. Prior to joining CTI, Reza was President of New York based Network Voice and Data Communications. Reza holds a BA in Political Science from DeSales University. Reza is married with 2 children, speaks three languages, and is passionate about exercising, golf and travel. Judy has over twenty-six years’ experience in the development of service agreements within the telephony and data industries. 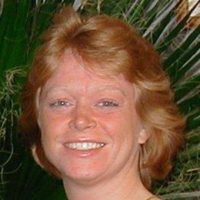 She has served as the Senior Manager of Programs and Business Analysis for Consolidated Technologies, Inc. since 2008. She joined the company from Black Box Network Services. Prior to Black Box, Judy worked for Executone Information Systems, Inc. for 11 years. Judy enjoys boating in Rhode Island at their lake house with a good bottle of Brunello and fresh bread just out of the oven. Howard started his professional sales career with the Minolta Corporation before moving into telecommunications and spending 14 years with ISOETEC/EXECUTONE. Howard has been with CTI since 2001, taking great pride in aiding in the success of the sales professionals who have worked for him. Howard is a graduate of Brooklyn College where he received a BA in Economics. Howard is also a big WWII history buff, and has made a point of visiting many historical sites associated with the War.